Do you guys know that Sentosa, which is only about 5 km sq (and Singapore's 4th largest island), has over 120 dining options islandwide? It's amazing when you think of all the F&B that's crowded in there, but the beaches remain quite tranquil and serene. I like the organic integration of these restaurants so they fit in the background of the sun, sand and sea, but what's an island without good food? Personally, nothing strikes up an appetite more so than the beach and sun. 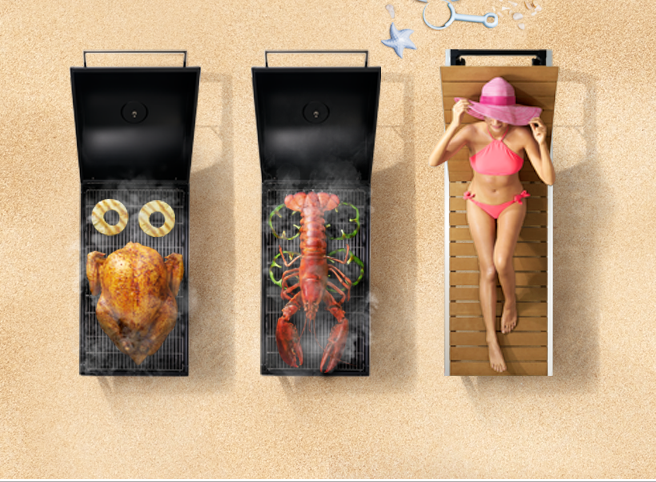 That's why for the month of April there was a Feast at Sentosa campaign to encourage everyone to head over and check out the F&B deals and they even had an inaugural Grill Fest (BBQ festival) with Singapore's longest brick BBQ pit! It was a pity that it happened at exactly the same two weekends that Artbox had to come to Singapore, but Artbox was really crowded so I hope some of the smarter locals would have been at Sentosa instead. To be honest I myself am guilty of not exploring all the F&B options in Sentosa other than hanging out at Tanjong Beach Club (which has decent fries)! I think I'll head over this long weekend and check out Coastes (Siloso Beach), as well as have a coconut ice cream from Co+Nut+ink (at Siloso Beach, Palawan Beach and Siloso Point)! Since we live in the tropics, we should make full use of our beaches and enjoy some good food while at it. Can't wait to see what the State of Fun will be coming up with next!